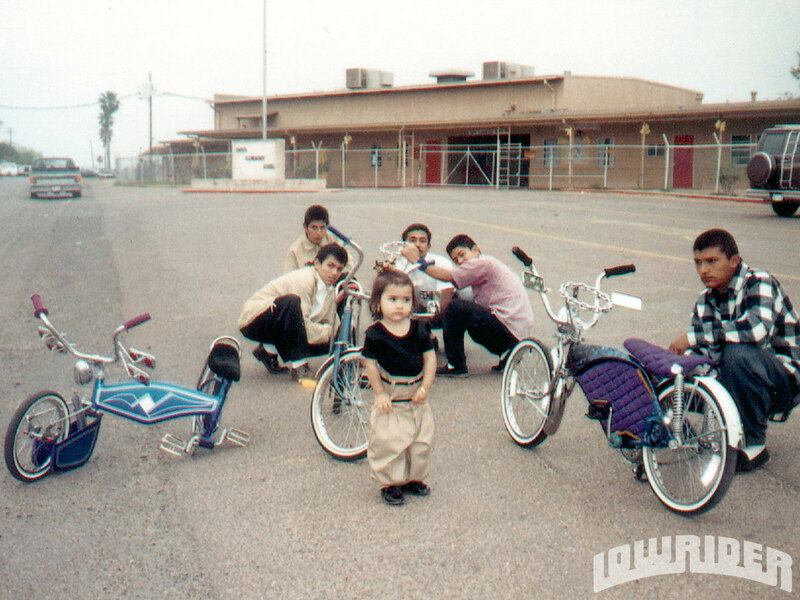 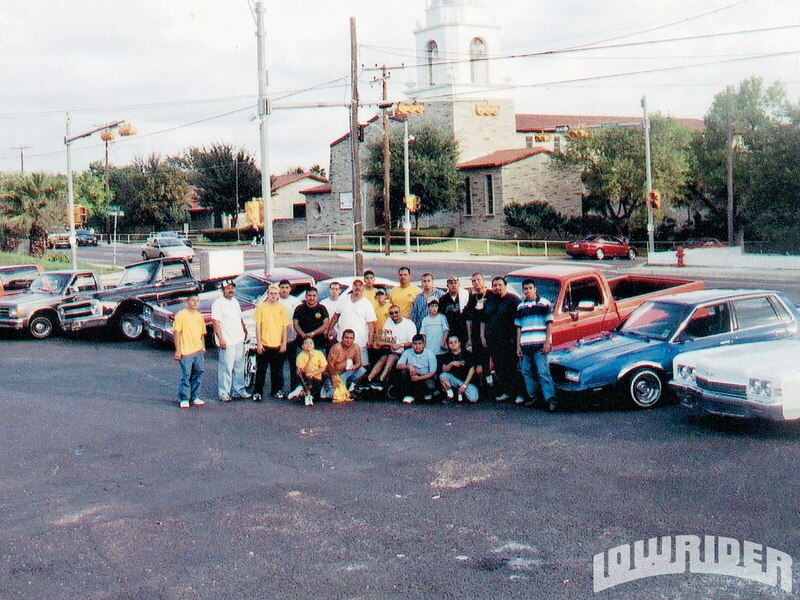 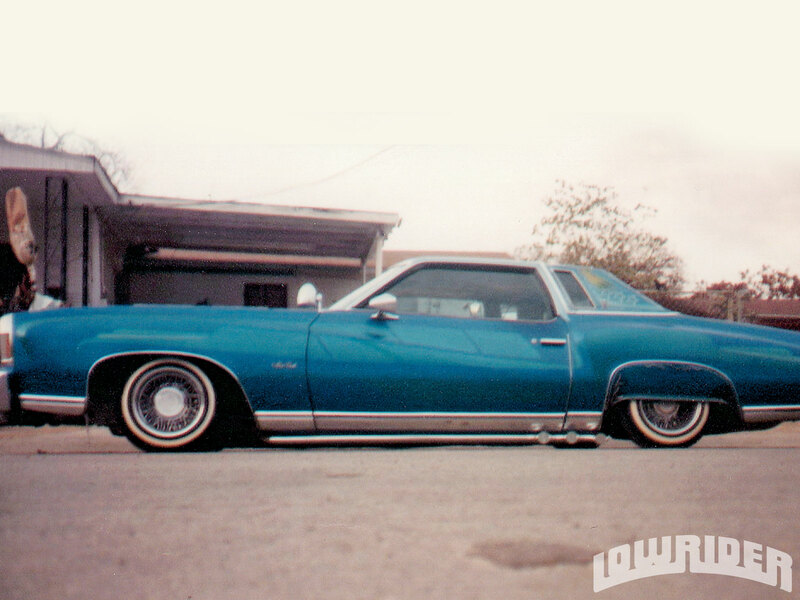 The first Lowrider Car Club established in Laredo, TX. 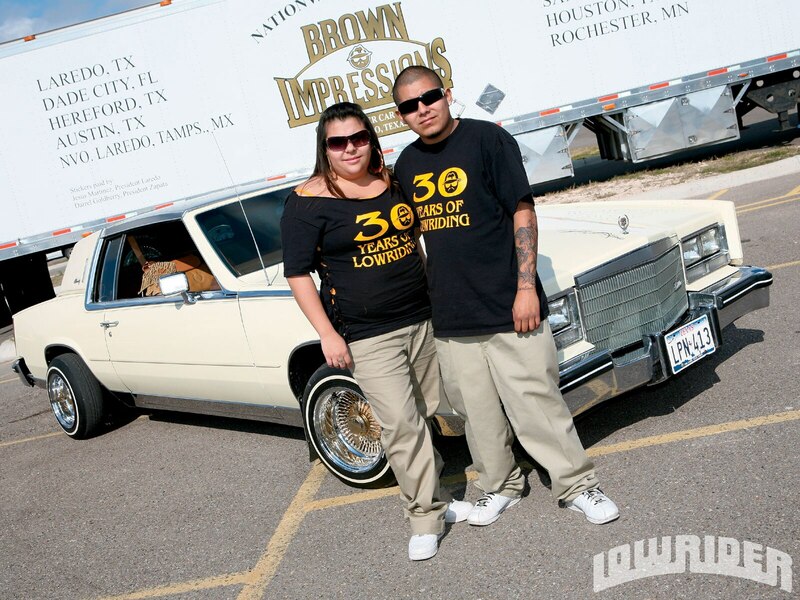 is now celebrating 30 years of family values and carnalismo. 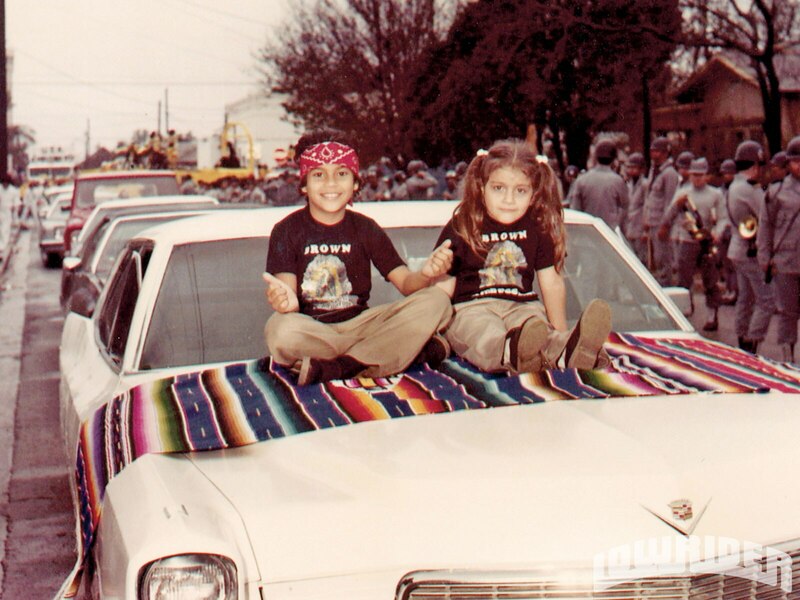 Laredo, TX is known for their annual Jalapeño festival and nationally recognized Washington’s Birthday parade. 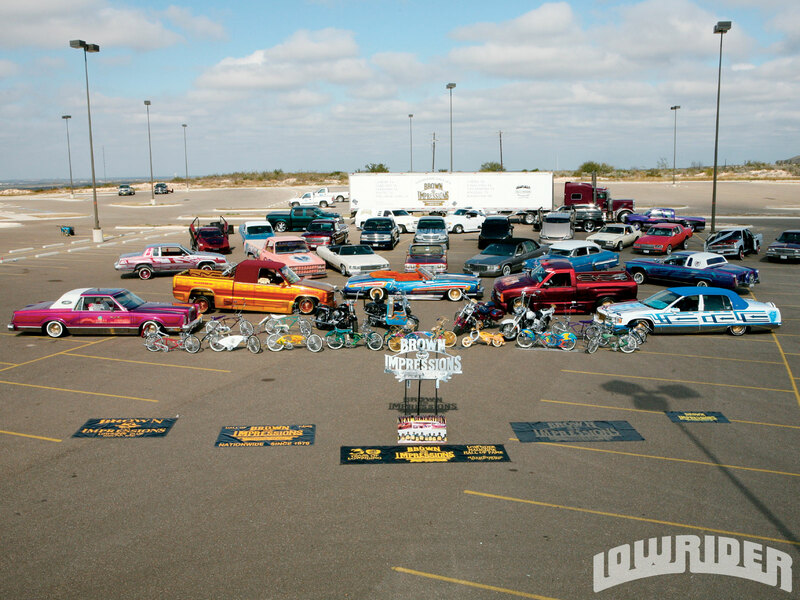 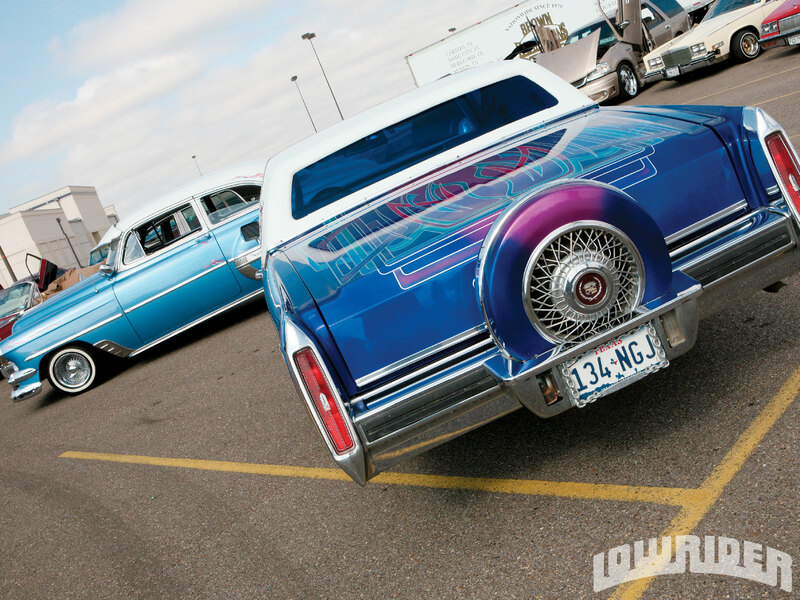 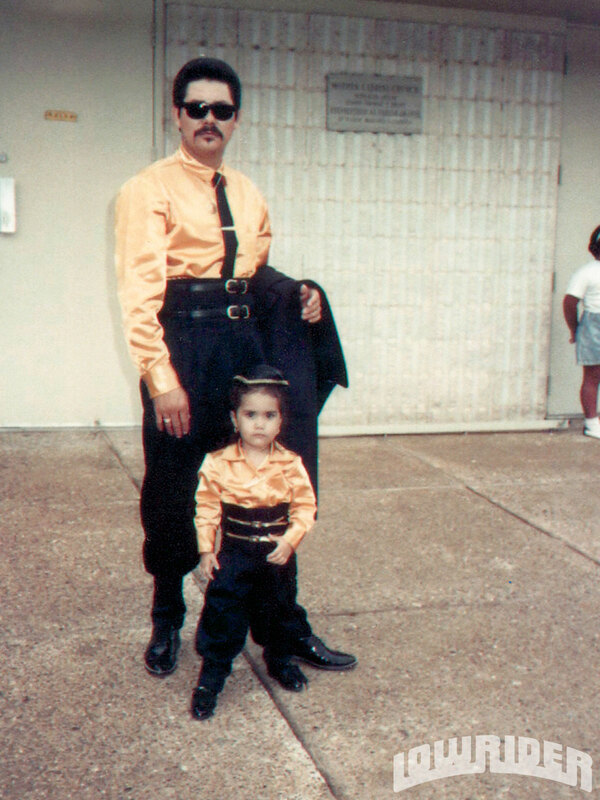 This Texas city is also known in the Lowrider world, thanks to the efforts of Jesus “Chuy” Martinez, who established the city’s first Lowrider Car Club in 1979. 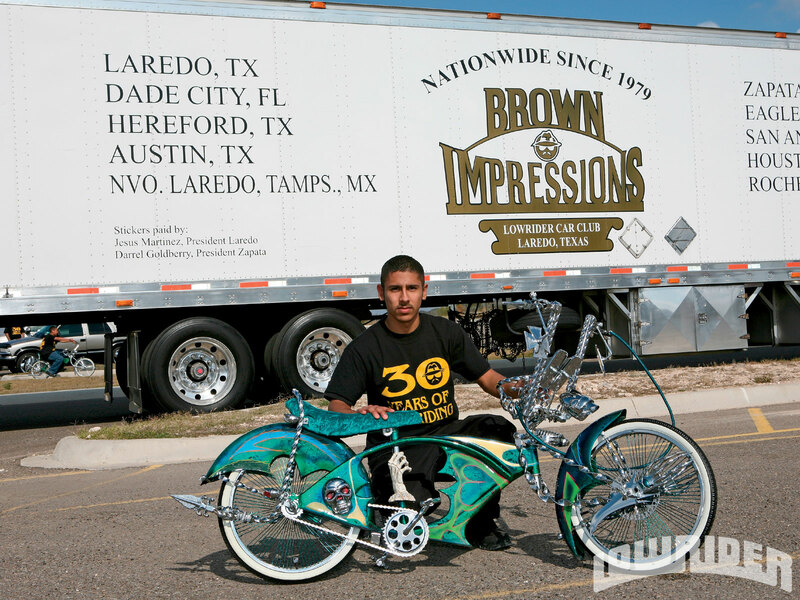 In May of that year, Brown Impressions Car and Bike Club was born, signaling the arrival of a new force to be reckoned with in the Texas scene. 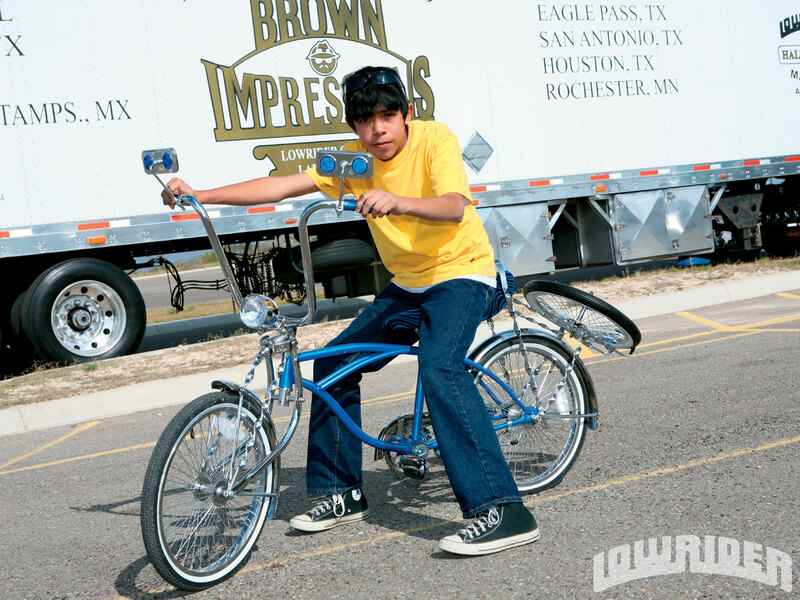 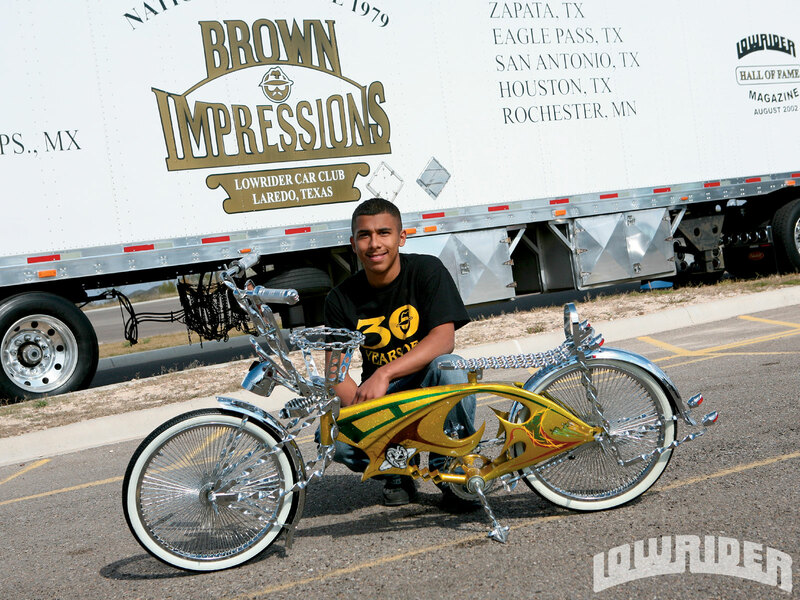 Starting the club with just a Lowrider Bike he built with the help of some of his closest friends, Chuy quickly climbed the ladder after purchasing his first car at the age of 17. 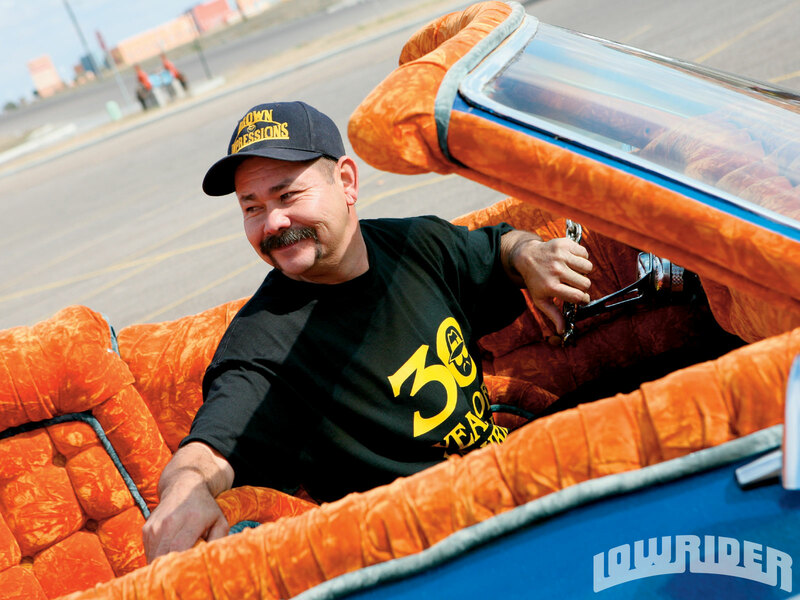 In 1980, Chuy’s introduction to the culture came in the form of a ’75 Chevy Monte Carlo that he nicknamed “El Blue Monte.” After lowering the car and giving it his own custom-painted blue exterior, he immediately began gaining recognition in the City of Laredo, and became one of the most recognized Lowriders in Southern Texas. 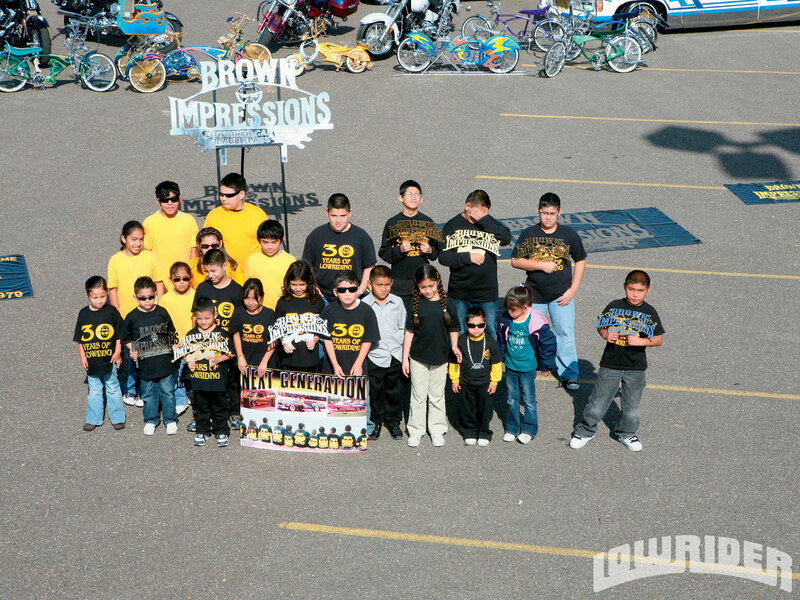 Brown Impressions was now on the map, and it wouldn’t take long for the club’s legacy and membership to grow. 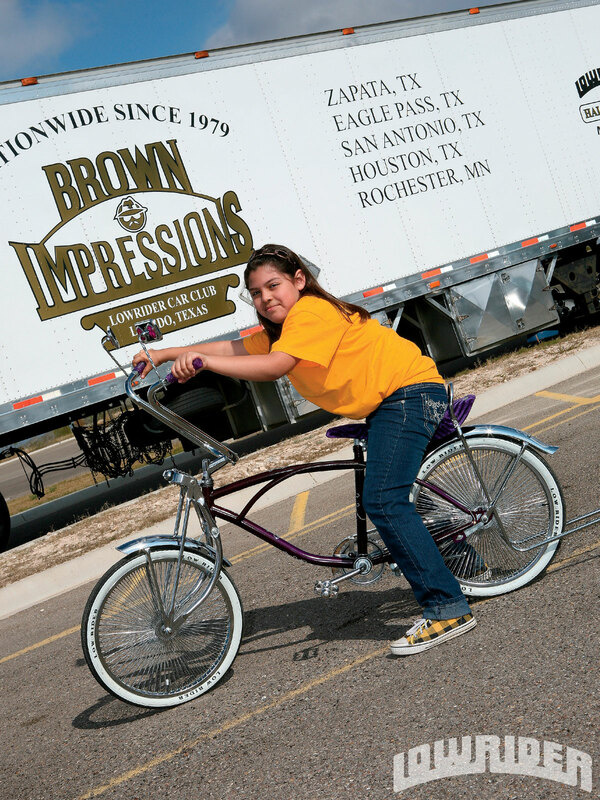 As the years went by, Brown Impressions began branching out and building chapters all over Texas, welcoming new chapters in cities like Eagle Pass, Corpus Christi, San Antonio, and Houston. 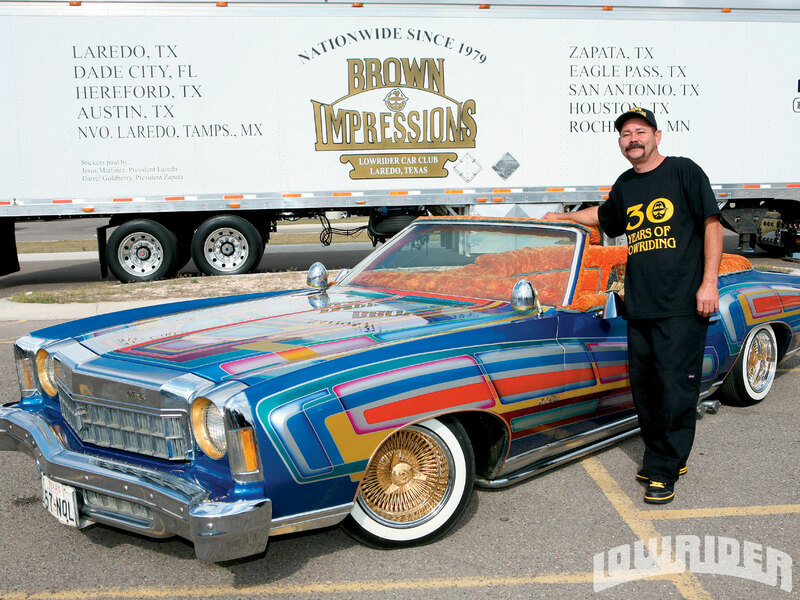 Brown Impressions was formed to represent a positive impression within the culture of Lowriding, so Chuy began working with local authorities to organize Car Washes, Plate Sales, and Raffles, designed to help the less fortunate and underprivileged members of the community. 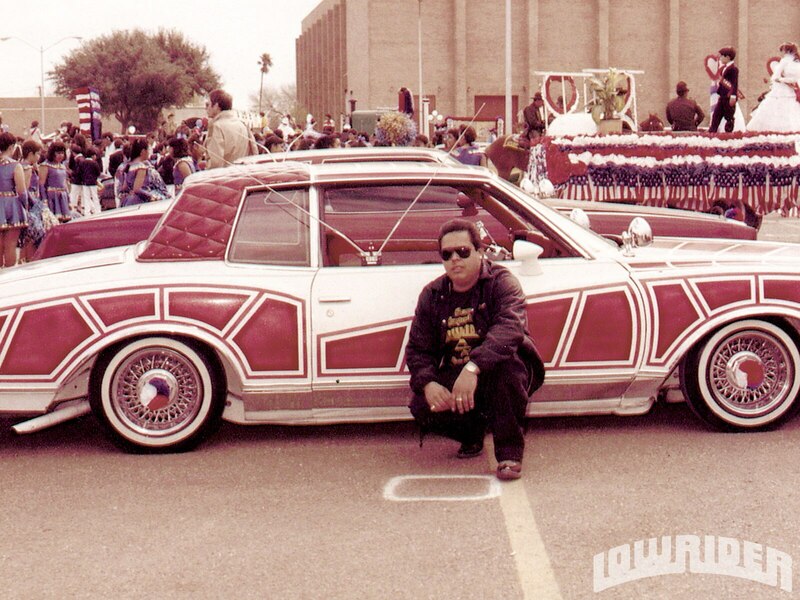 The first car show the club held raised money for a Heart and Lung transplant patient in 1986. 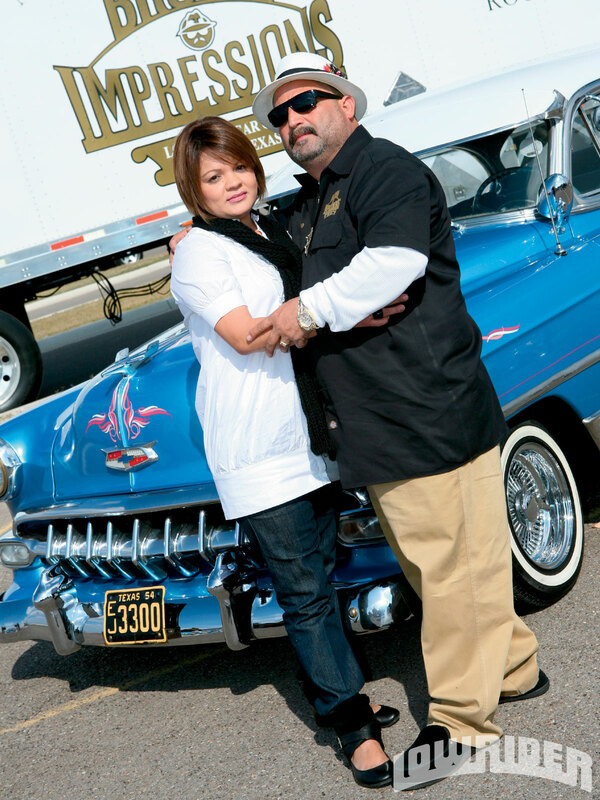 With help from the city and local radio stations, the club raised enough money to purchase the organs and pay for the transplant operation the patient so desperately needed. 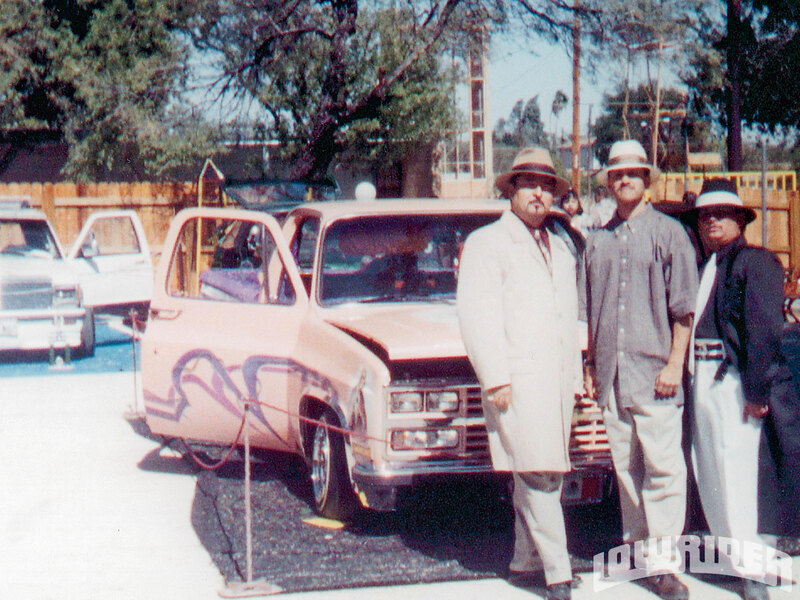 Having been a key part of the community outreach efforts in the area, the club caught the attention of Actor/Activist Edward James Olmos. 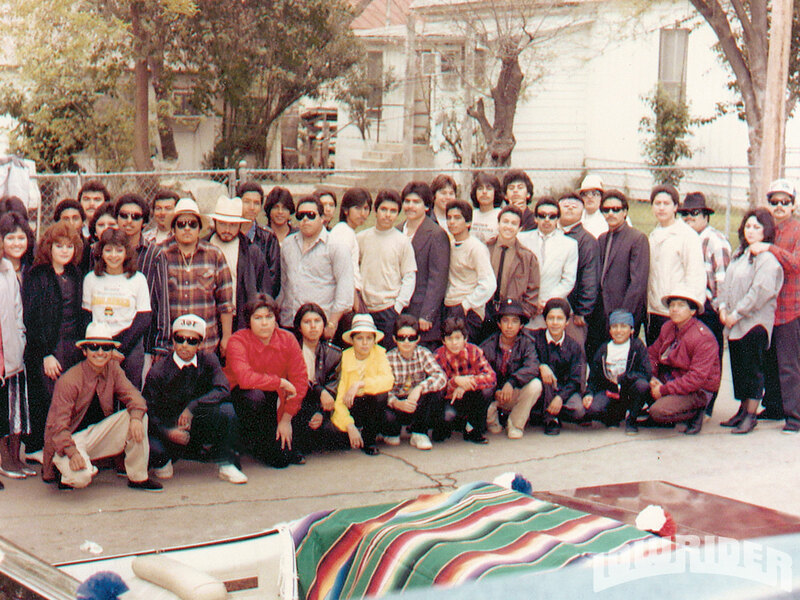 The passionate actor made a special trip to Laredo on behalf of his Youth 2000 Program in 1988 to help the club put on a few different events. 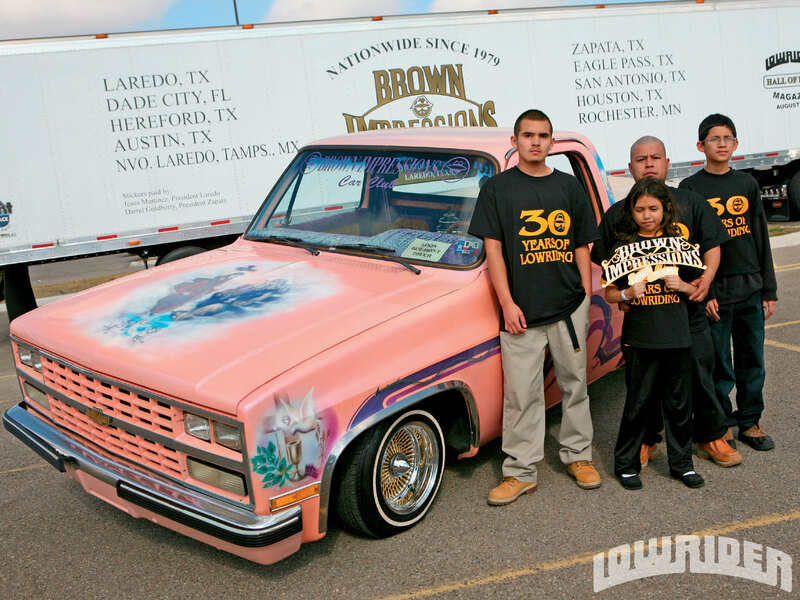 This family-based club always encourages its members to do something positive for their respective neighborhoods, and urges them to bring family members to club events, in order to showcase the fact that Lowriding is a culture designed to bring people together, rather than tear them apart. 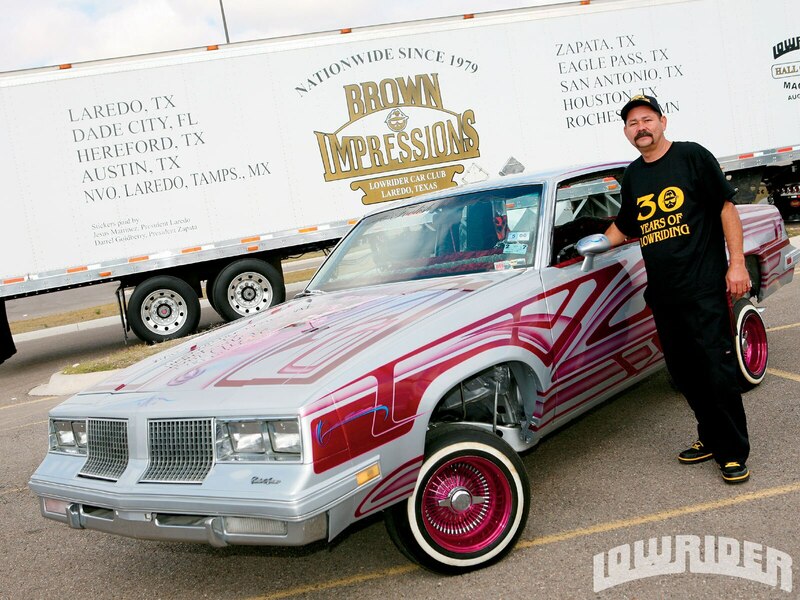 Brown Impressions began making a name for themselves in the ’90’s after attending many car shows all over the map, including the LRM Houston, Dallas and San Antonio shows, with an impressive 15-car lineup. 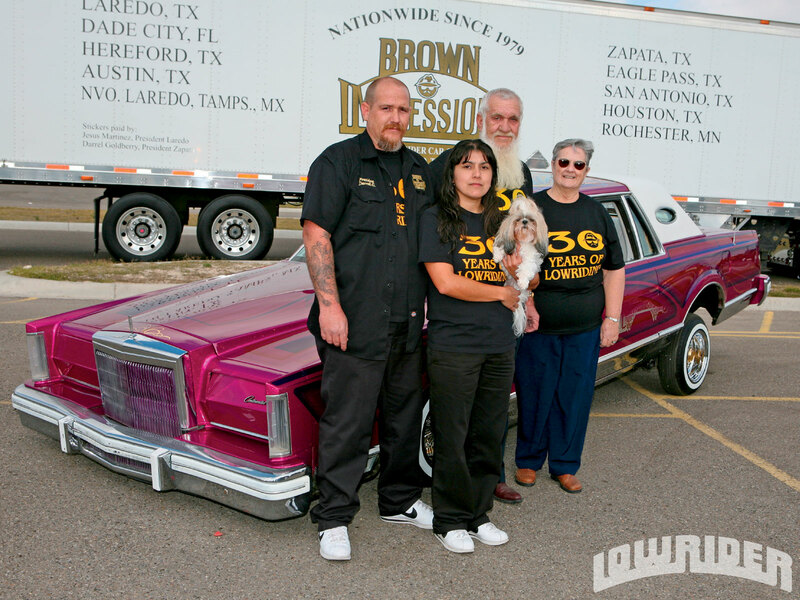 Many car owners in other states noticed the close bond that Brown Impressions Car Club had among its members, and they, in turn, started new chapters in places like Florida, Minnesota, and Kentucky. 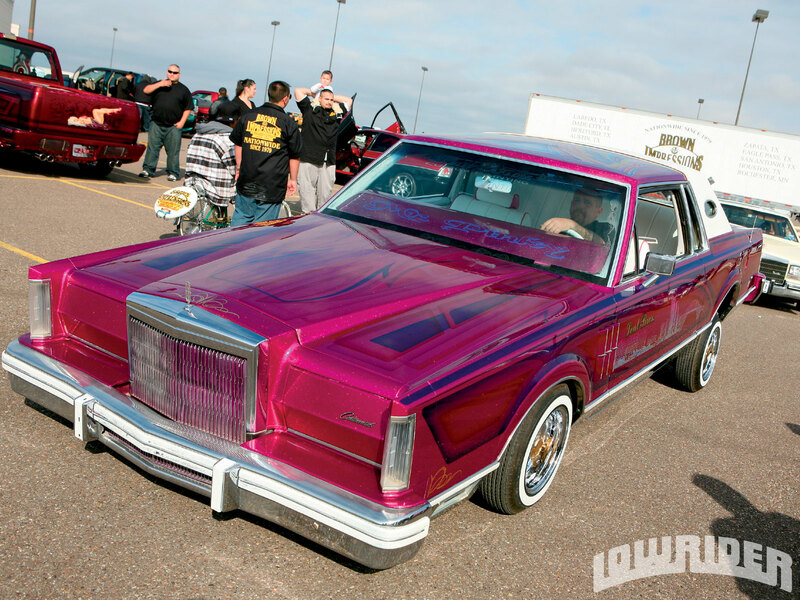 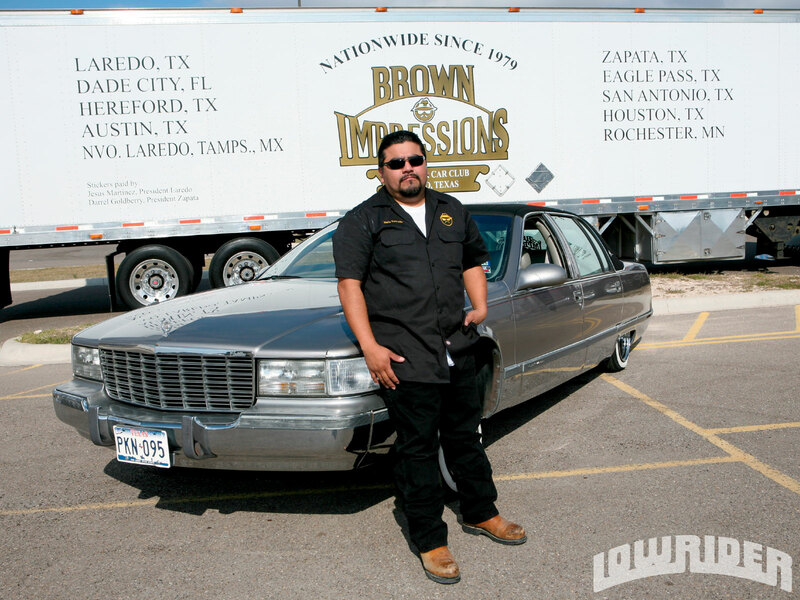 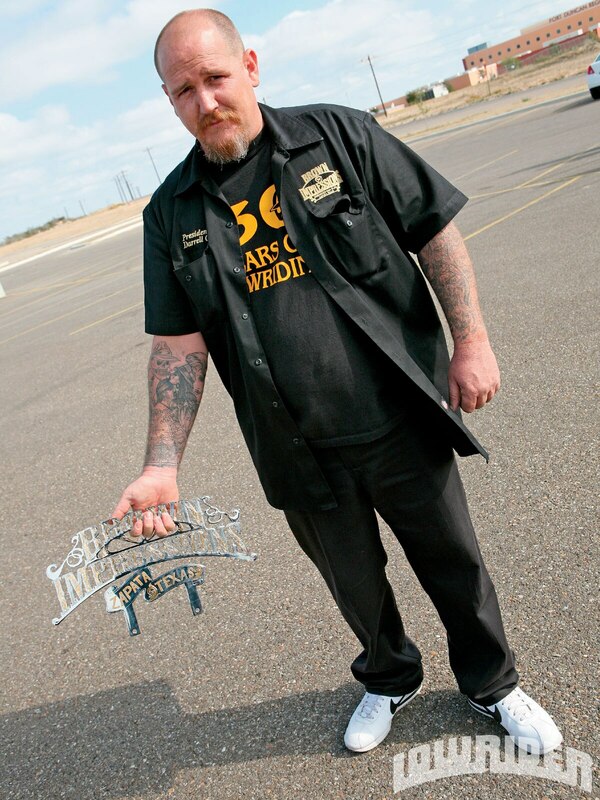 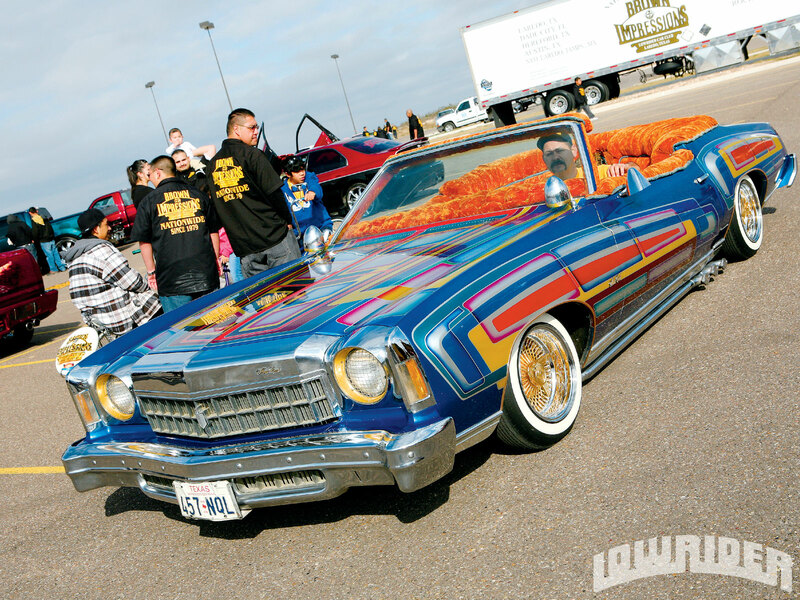 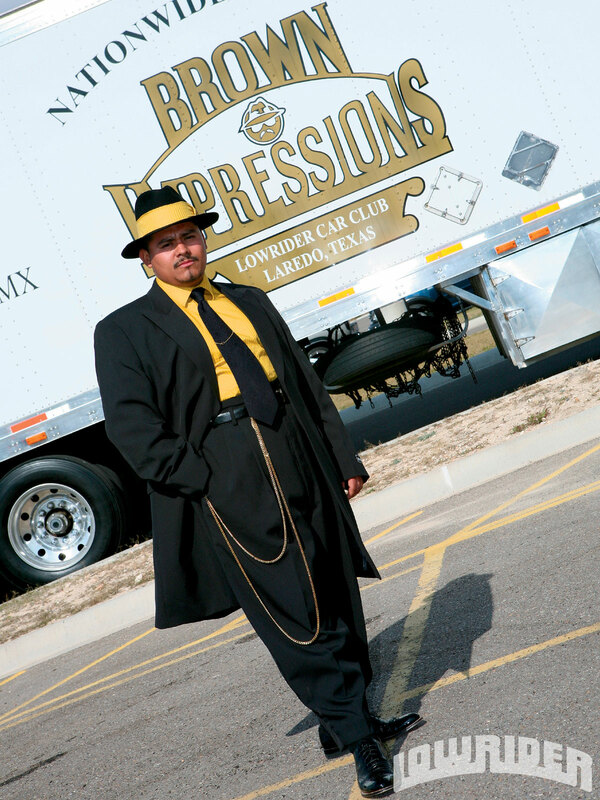 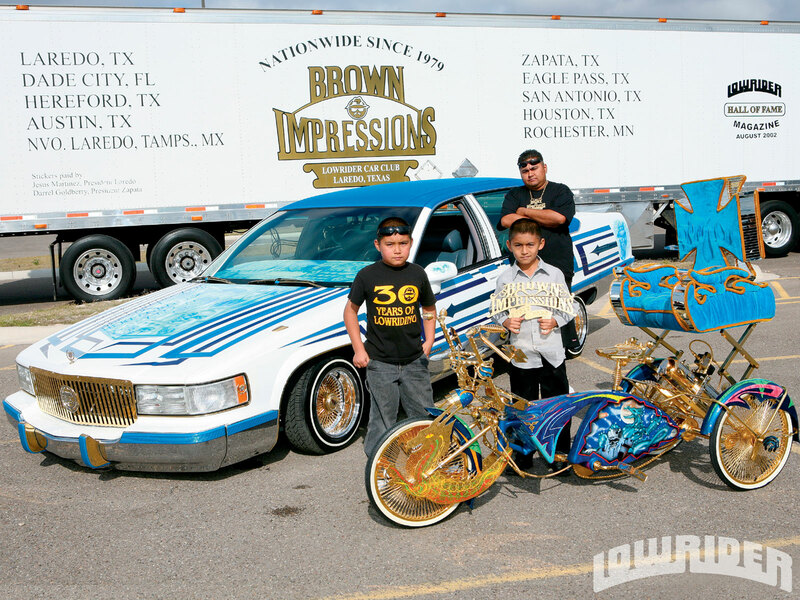 After riding for 20 years and solidifying their reputation as one of the culture’s strongest car clubs, Brown Impressions was inducted into the Lowrider Hall of Fame in 2000. 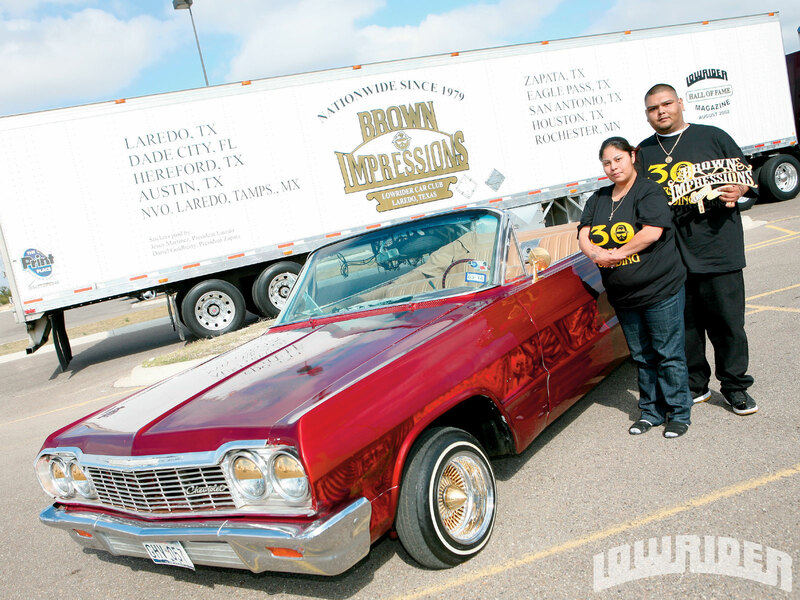 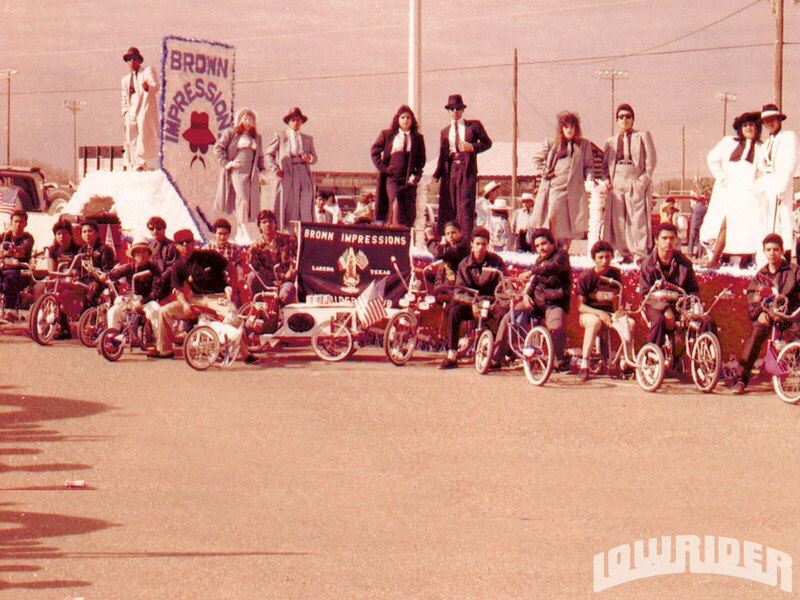 Their efforts in the community were also rewarded by the mayor of Laredo, TX, after he declared a proclamation in 2008 that the last week of May would forever become officially recognized as the “Brown Impressions Lowrider Car Club Week” in the city of Laredo, TX. 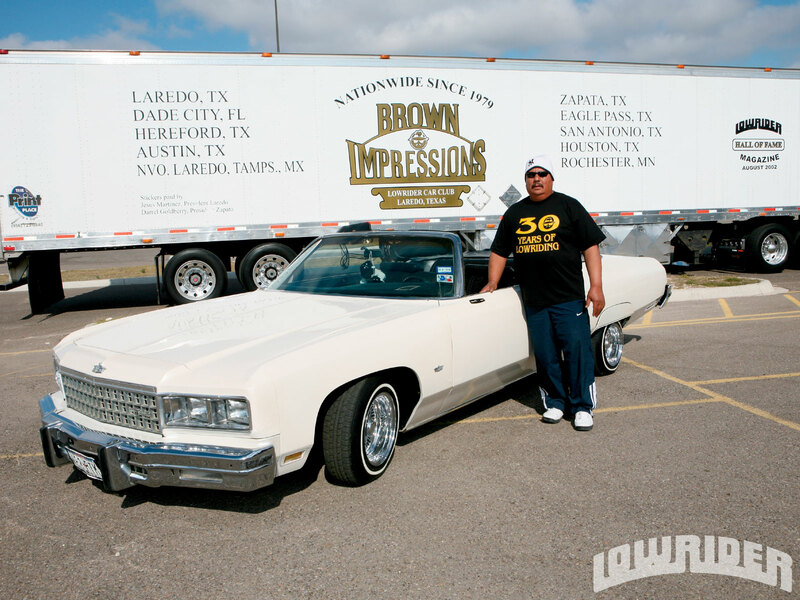 As the club’s 30 year anniversary draws near, Brown Impressions Car Club is still going strong and giving back to the community, just like they were in the club’s early days. 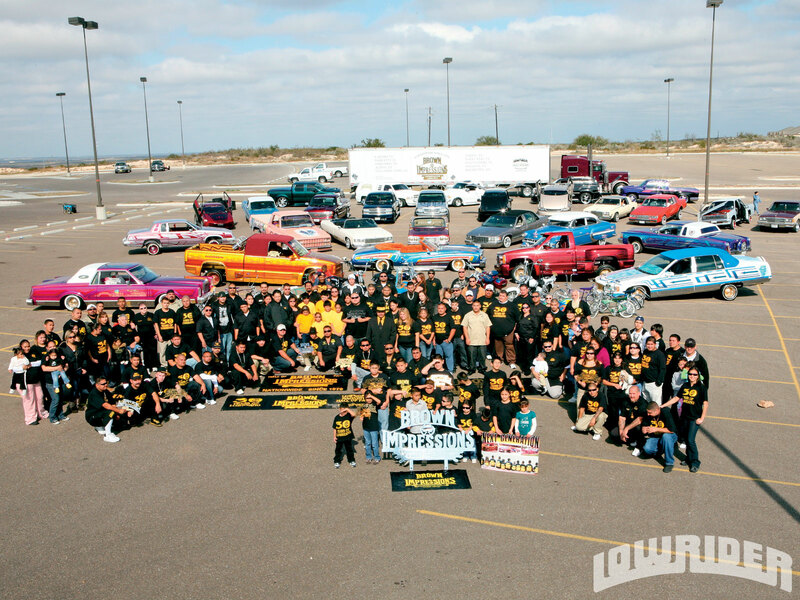 The club is proud to say that they have over 20 chapters nationwide with well over 100 active members. 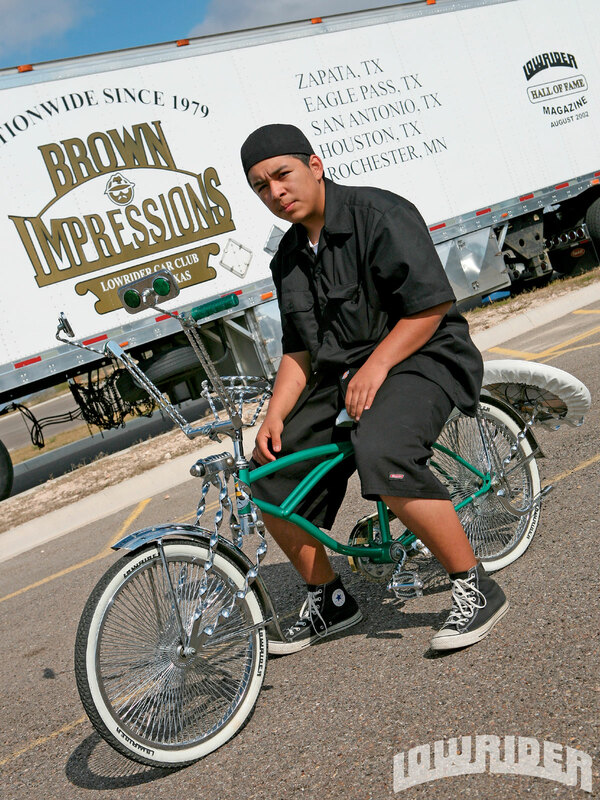 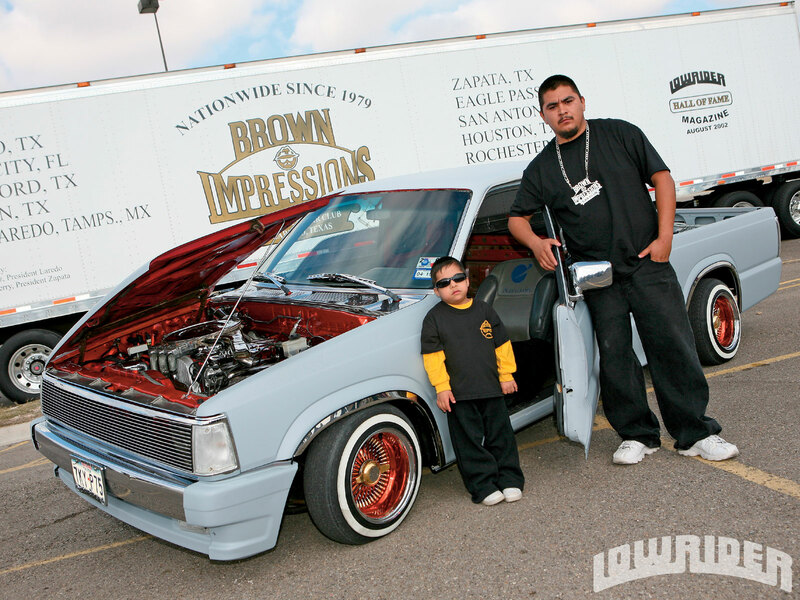 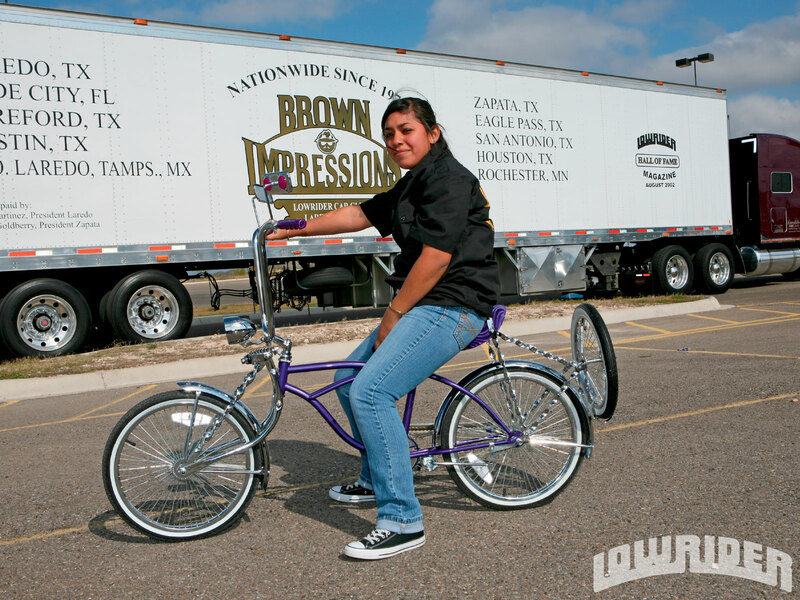 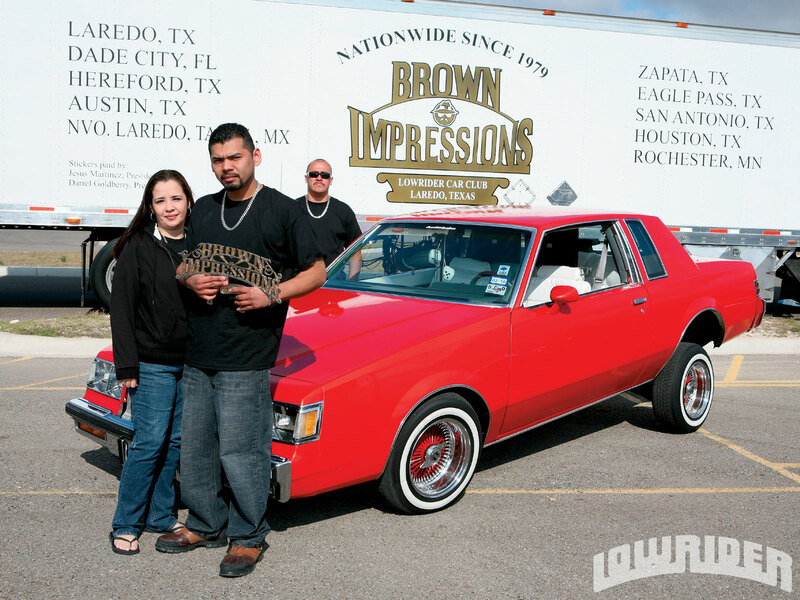 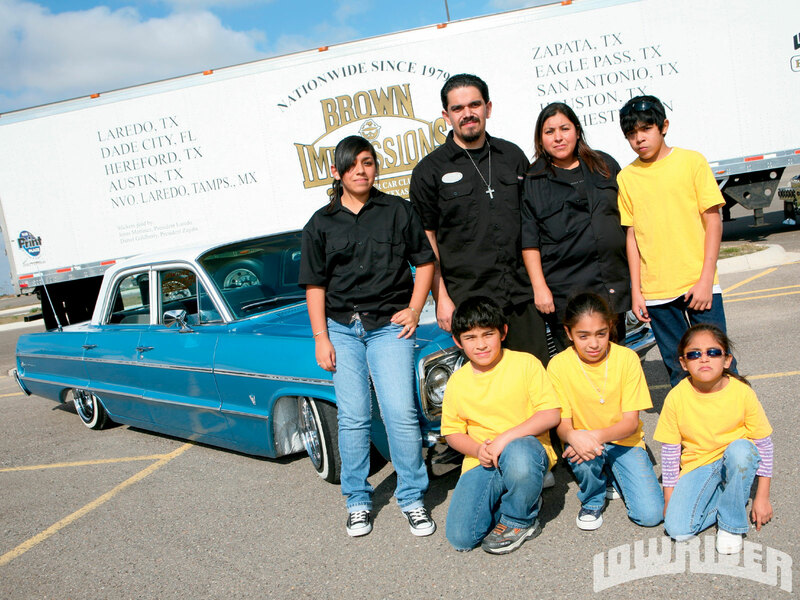 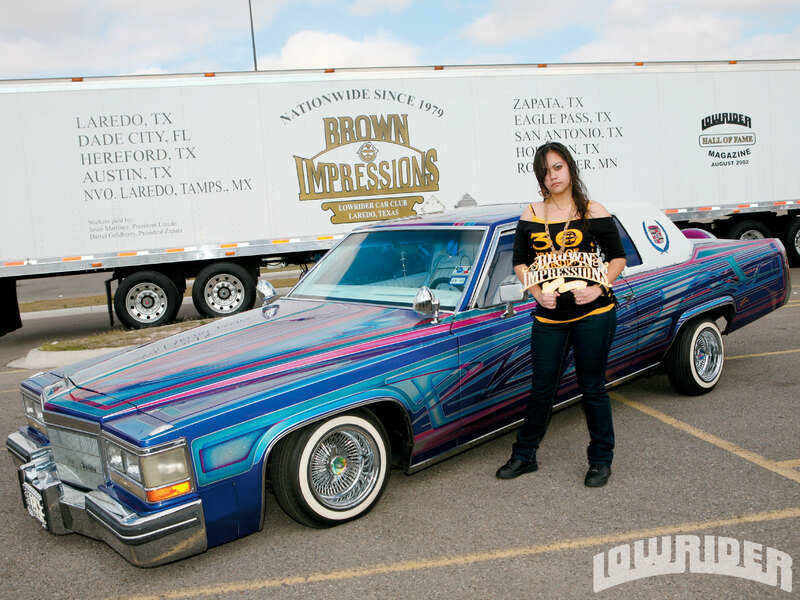 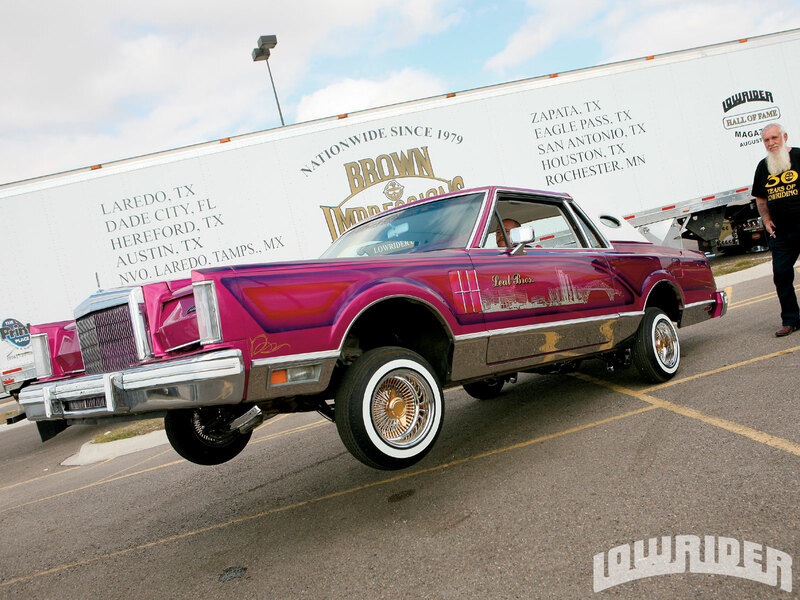 Keep an eye out for one of the few clubs left in the Lowrider Circuit with strong family bonds, because this year, Brown Impressions will not only be rolling deep to all the Texas shows, they are determined to give you something to talk about at this year’s Super Show as well.